They’re Here! | "In good writing, WORDS BECOME ONE with things." 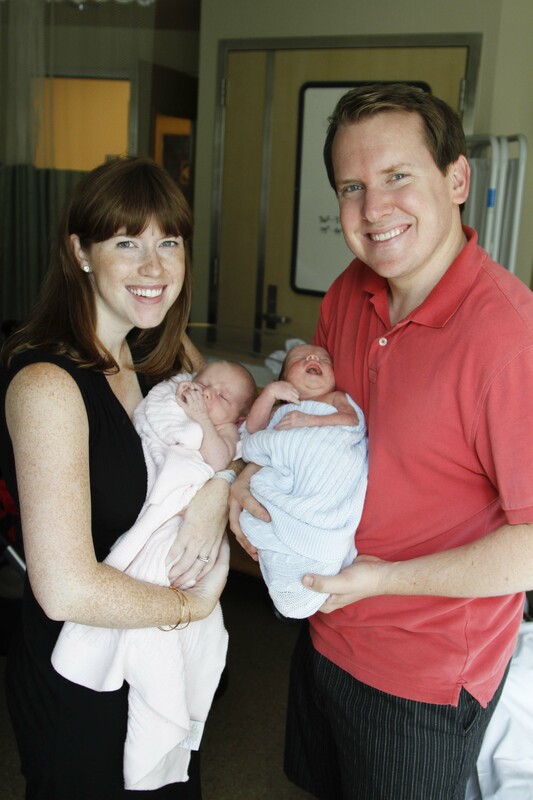 It is with uncontainable joy that I announce the arrival of Arden Charlotte Reph and Henry Warren Reph, born Friday, July 26. Yes, that was a month ago. We’ve been a little busy. 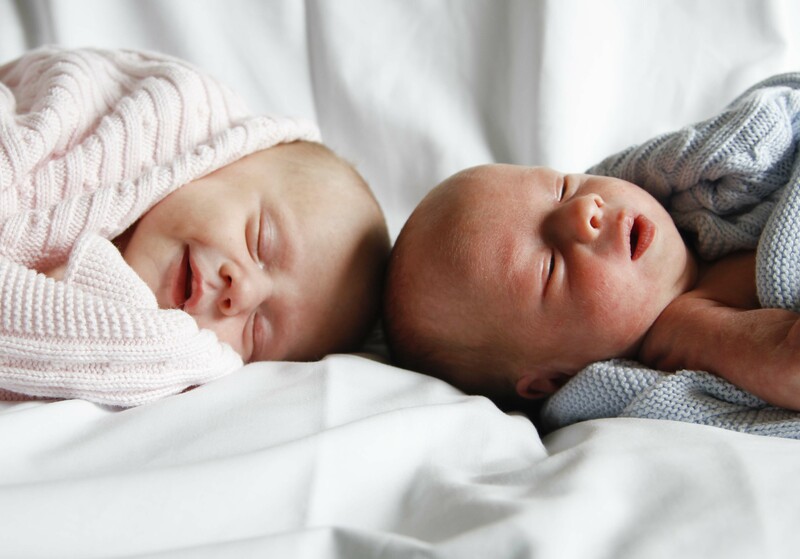 Meanwhile, happy one month birthday, Henry and Arden! We chose Henry’s name because we have loved it since early in our marriage. Henry’s middle name, Warren, honors my father, a hugely important person in our lives. Arden’s name came to us through a woman Mike met a couple of years ago, and he came home and told me that he loved that name — it was feminine and strong, with the bonus of being unusual. Charlotte honors my maternal grandmother, whom I love very much. I can’t wait to share their birth story, but I’m already surprised at how little their birth story matters to me in comparison to who they are to me. I thought their birth would be everything, but it’s a very small thing when weighed against the tremendous, overwhelming experience of falling in love with them every moment since. Their birth was important, but their lives far more so. I’m excited to write about their lives. But let’s look at them again. You may notice their size discrepancy…most people do. 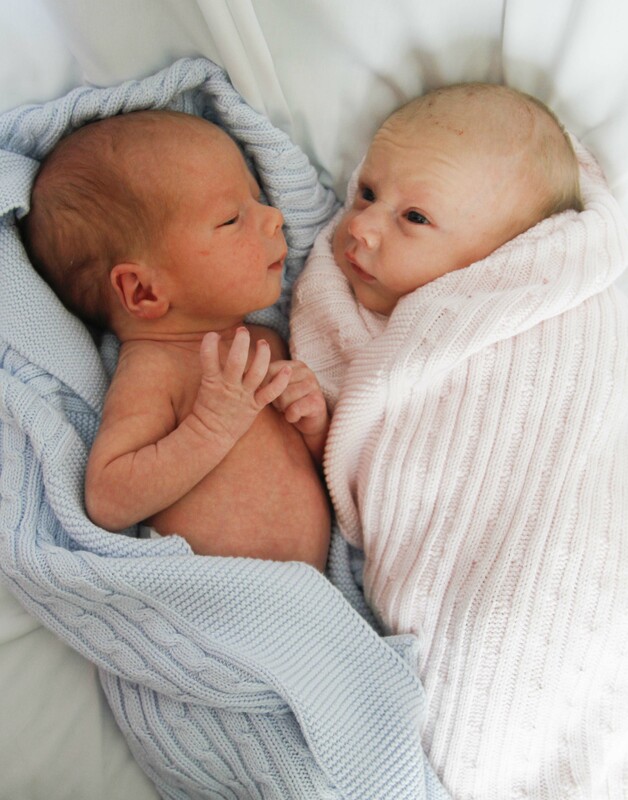 Arden was born at 7 lbs 14 oz, and Henry was born at 5 lbs 13 oz — nearly a two-pound spread. This was most unexpected as their pre-birth measurements had them at about equal weights. Thankfully, both weighed more than the average twin (5 lbs 5 oz) and both were wonderfully healthy at birth. 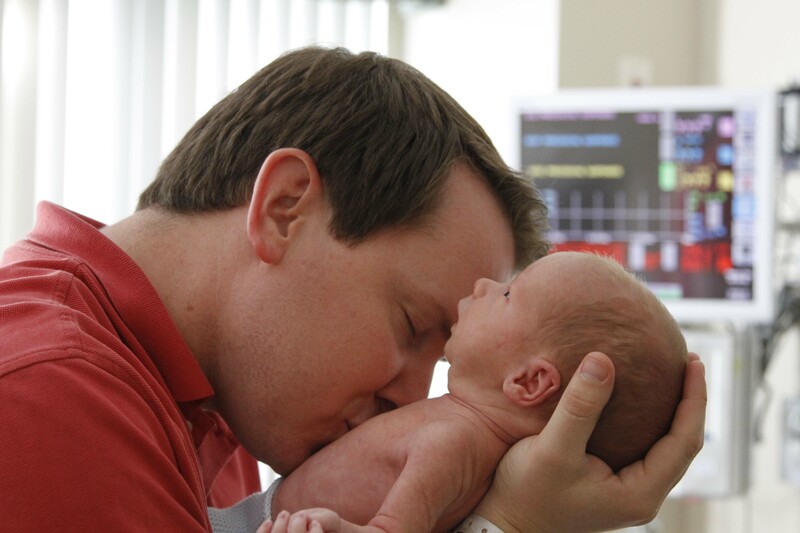 We did have one complication: Henry didn’t eat much by mouth, so he had to be in the NICU for an unbearably long seventeen days. 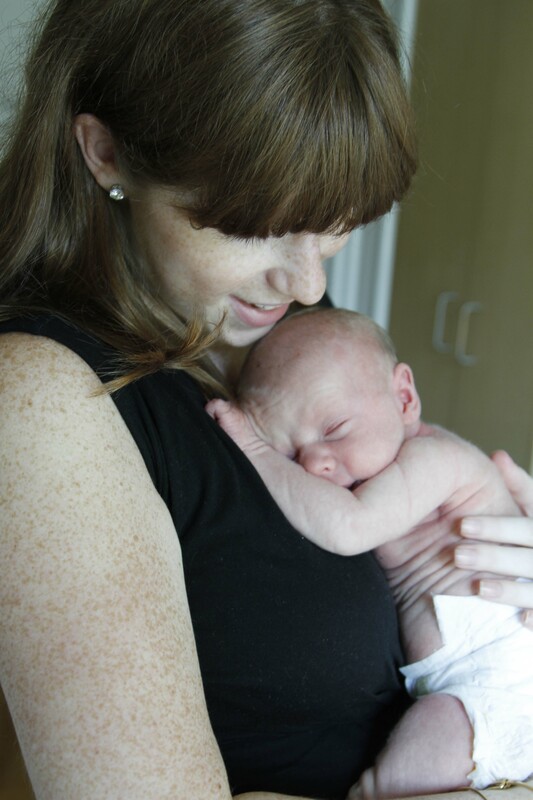 We went home with Arden after five days (she was never in the NICU), and leaving the hospital without Henry was the most heartbreaking experience of our lives. We spent every single day with him, arriving at 9AM with Arden in tow, and staying until 10PM. They wouldn’t let us spend the night because they couldn’t have Arden there, otherwise we would have. The babies are 17 days old in these pictures, because they were taken on the most glorious day — going home day! We practically danced down the hall; I had to restrain myself from breaking into a sprint with my free-at-last baby boy. We have been loving life at home, adjusting to the beautiful chaos that is life with twins. I wouldn’t have it any other way. This is our family. We are happier than we have any right to be, and we give God the glory. such little sweet hearts! glad all is well! So beautifully written Abby. Absolutely beautiful! Just perfect! We couldn’t be more amazed at God’s kindness in bringing such joy to our lives….and making you two such loving and committed parents. Can’t wait to watch this family grow. They are both simply G O R G E O U S!!! Congratulations Abby (and Mike too of course). So glad to see the entire family at home and enjoying every minute of it! Thank you so much, Eva! It’s such a joy to share! They are absolutely gorgeous! Excited to meet them one day! Thank you Amby! I hope I get to meet Eli too!! I’m reading this post balancing a laptop on my oh-so-ready-to-burst baby belly 🙂 Makes me even more excited to meet our new little person seeing your darling babes. So glad they are both home and you are figuring out your new life together! Many blessings on your days ahead.